The Stone Open is held the first Sunday after Labor Day. If you are registering more than one golfer, please add a shirt / registration for each golfer. In the order notes section of the cart please list whom you would like to golf with. We will do our best to accommodate all requests. You can also add a $20 donation to the Special Operations Warrior Foundation to your cart at time of registration or purchase a ticket to participate in the hole-in-one challenge for $10 for each golfer you register. After adding your registration and shirt to the cart, proceed to the cart from the menu under Register in the top right menu and you will be re-directed to PayPal for payment. A $3.00 handling fee will be added per person to cover the PayPal fee. 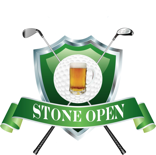 The Stone Open is not tax deductible.